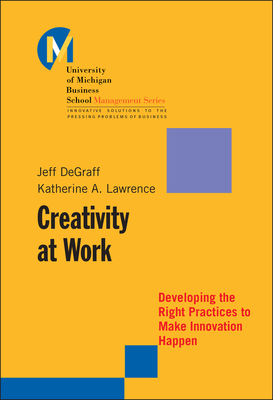 Jeff DeGraff is professor of executive education at the University of Michigan Business School, where he teaches courses on creativity, innovation and change leadership, strategy, and organizational development. A founding partner of the Wholonics Leadership Group, a consulting firm specializing in value creation through innovation and change, he has consulted, taught, and lectured at leading firms around the world. Katherine A. Lawrence is currently completing a Ph.D. in organizational behavior at the University of Michigan Business School. Her research interests include creativity, improvisation, managerial initiative, and learning, inspired by past work experience in filmmaking and educational technology.